A tanned body represents vitality and looks attractive. In our studios you may get your tan without worries. 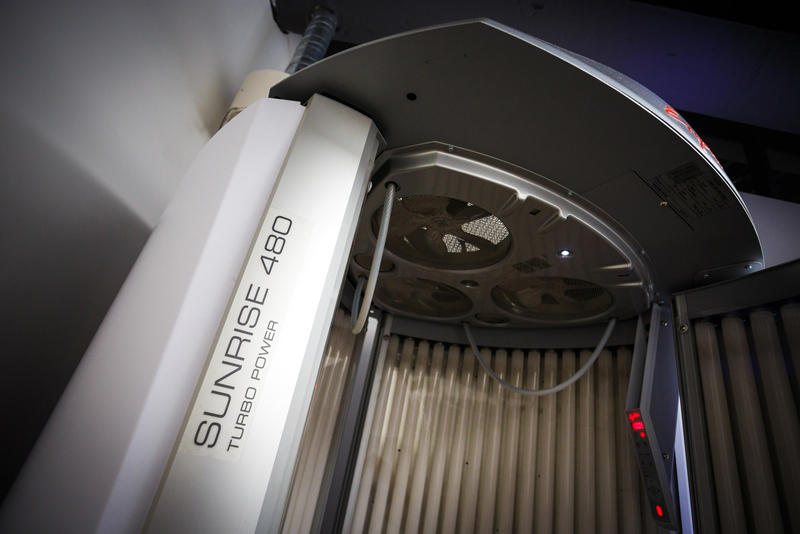 We have high-quality Ergoline turbo tanning studios which guarantee healthy sunbathing gentle to your skin. The cheapest tanning studio costs only 0,25 € per minute. The tanning studios are available to non-members as well. Our VIP members may use the tanning studios free of charge and without any restrictions (but only as recommended by health specialists). Sunbathing in tanning studios helps increase resistance against infectious diseases and it has a positive impact on the vegetative nervous system. It also supports oxygen exchange and the metabolism of minerals, and it enhances calcium absorption and bone mass increase. Last but not least, the vitally important vitamin D3 is generated whilst sunbathing in a tanning studio.